It is a great honor indeed to introduce Ms Gwendoline Atemkeng, a healthcare professional, IT Specialist and former Miss Cameroon California 2005. She will be joining the Panel of highly esteemed Judges for Miss Cameroon USA this year. My acting credentials have provided me eligibility status to join and become a member of SAG-AFTRA union. I have always been interested in fashion and entertainment. 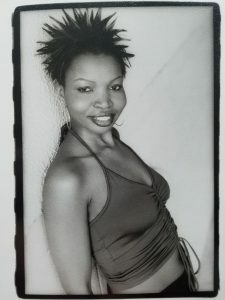 In the late “90’s” I was the second runner-up for Miss Cameroon at the CAMSA convention. 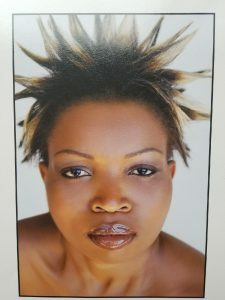 I was the winner of Miss Cameroon California in 2005. My journey started as a theatre student at National Conservatory of Dramatic Arts in Washington, DC. Since, then I have been in plays, commercials, movies, acting, print and runway way modeling. I am currently an Informstics Nurse Specialist with an MSN and MBA, Healthcare Management. I believe my experiences and education can help in empowering the ladies in our community in pursuing their dream. My goal is for our community to empower those who wish to be in entertainment industry without them feeling as if they are an outcast.